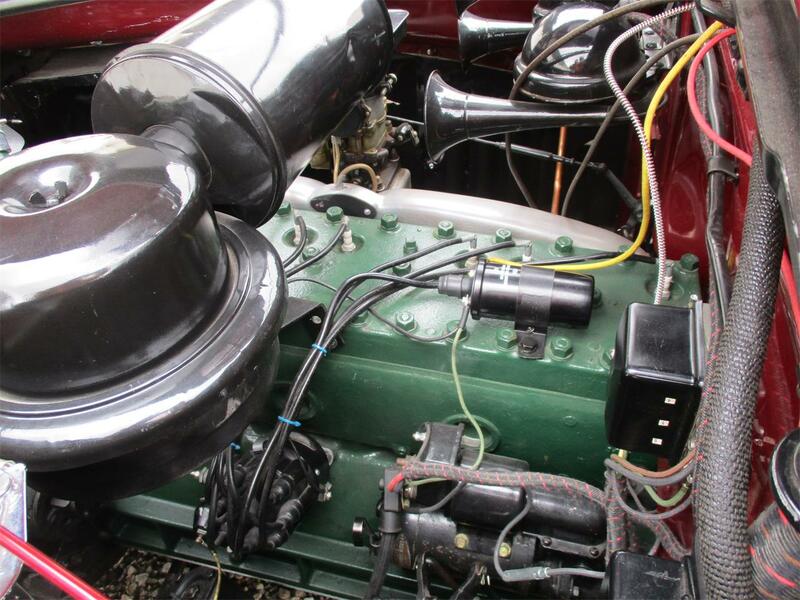 By 1940, most luxury automakers realized that the days of massive engines hauling equally massive bodywork were drawing to a close. 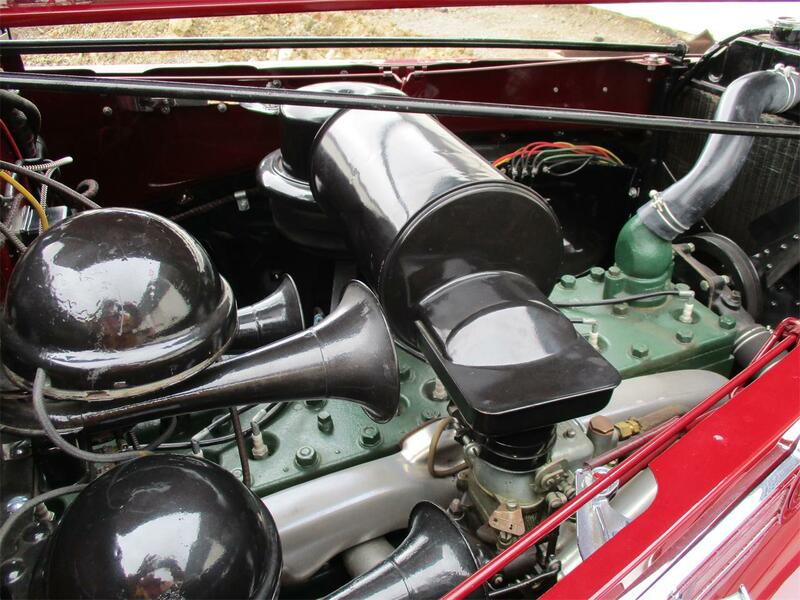 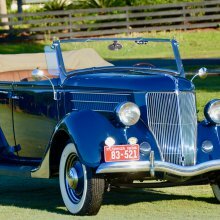 Packard dropped the V12 in favor of an all-new straight-8 that neatly bisected the line between the 320 cubic inch and 385 cubic inch straight-8s that they employed throughout the ‘30s. 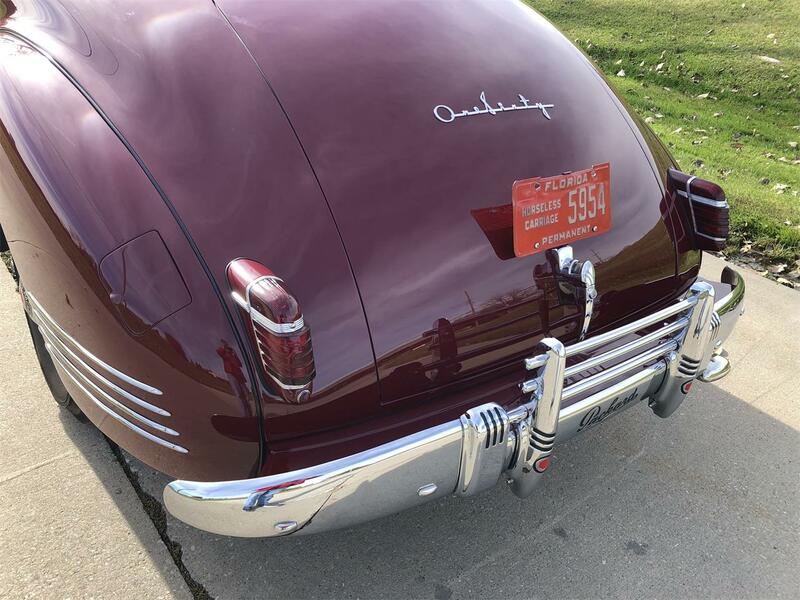 At 356 cubic inches, it would carry Packard into the next decade, and for many Packard enthusiasts, it is perhaps Packard’s finest engine; smooth, torquey, and utterly reliable. 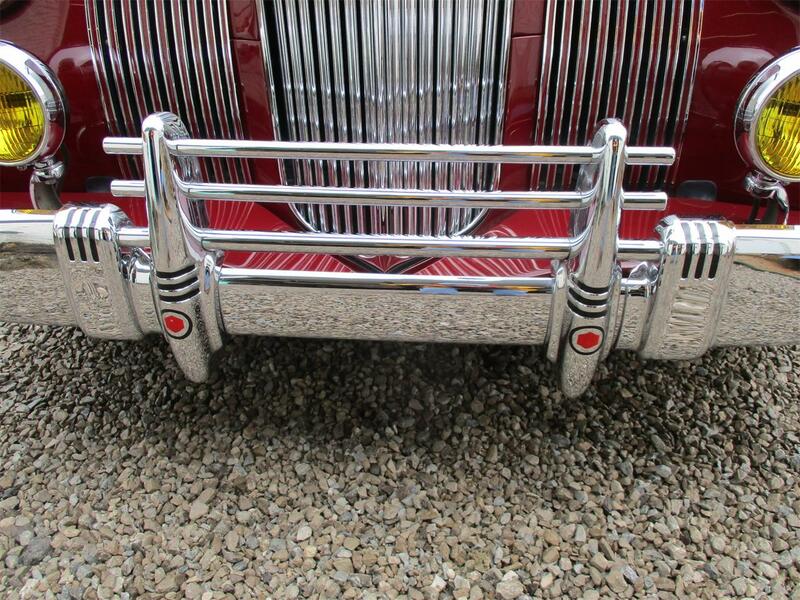 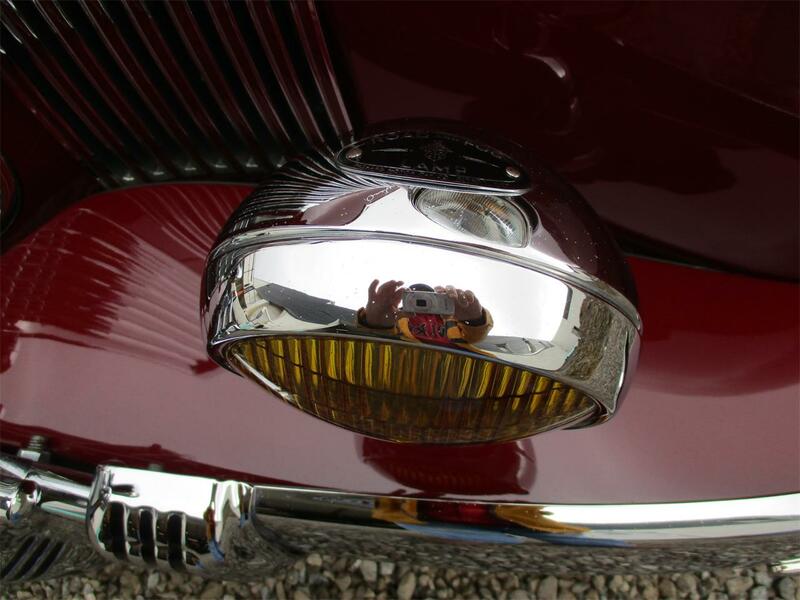 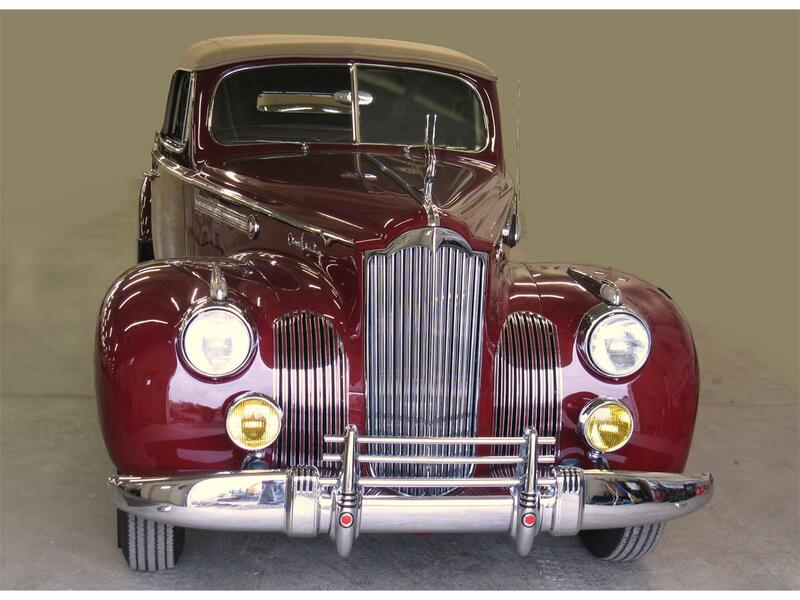 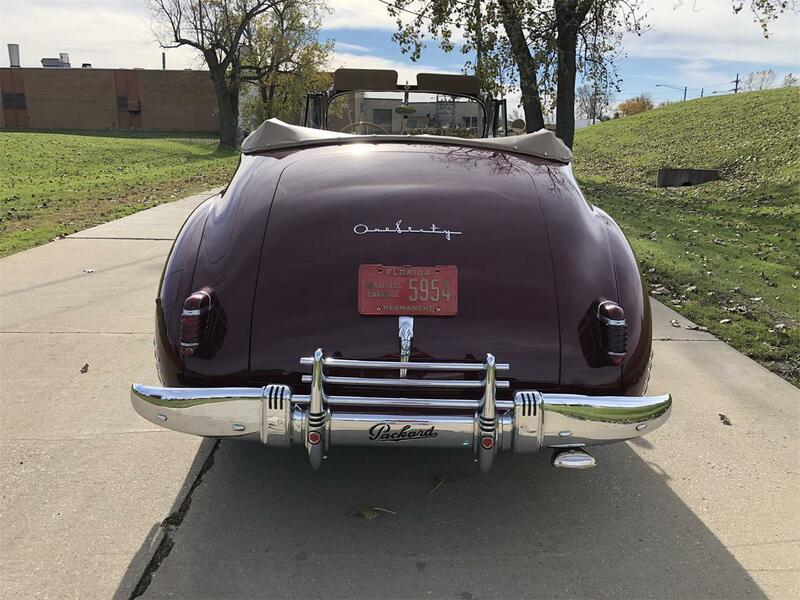 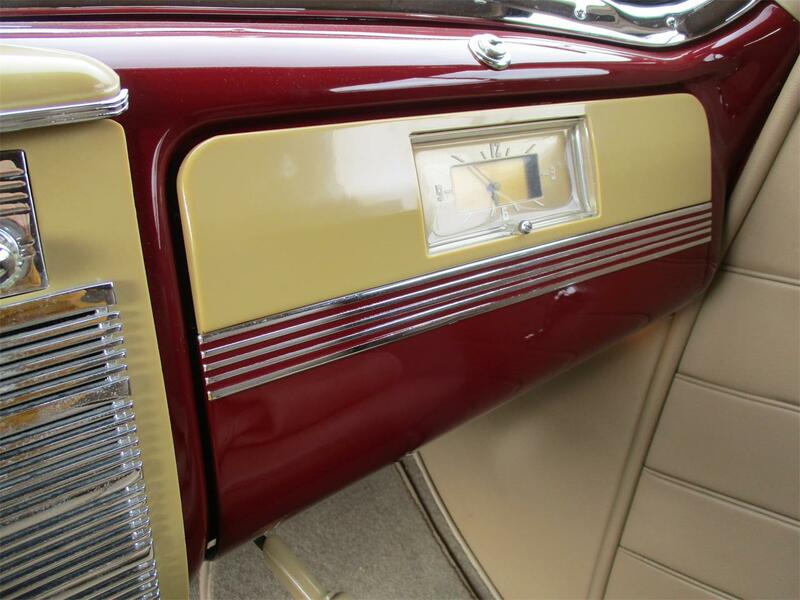 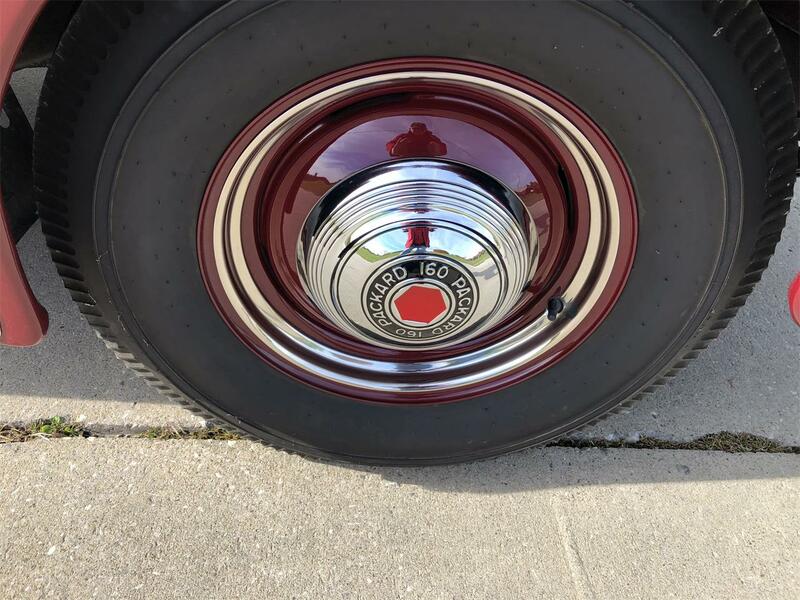 The 1941 Packards were the first to move the headlights into the fenders, giving the cars a striking, modern look that was suddenly the height of fashion, and in the senior 160 and 180 Series, the cars were large, impressive, worthy additions to the Packard legacy. 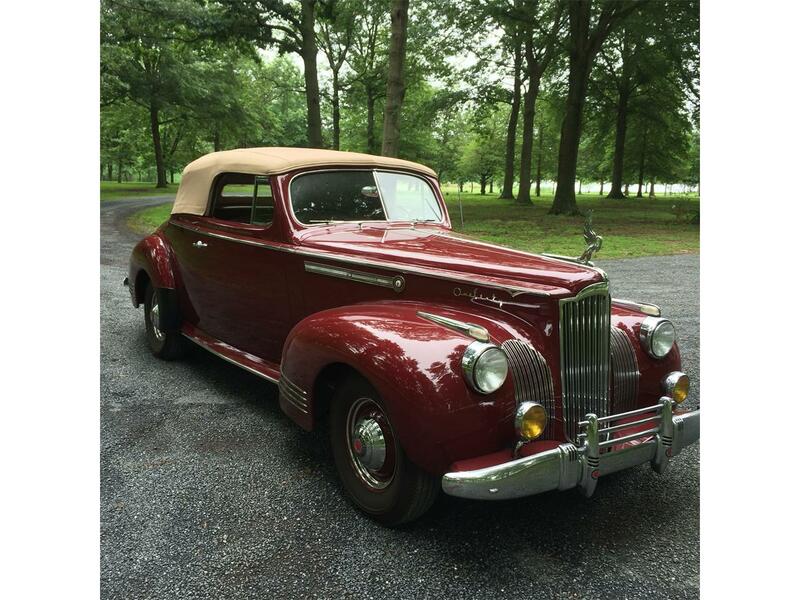 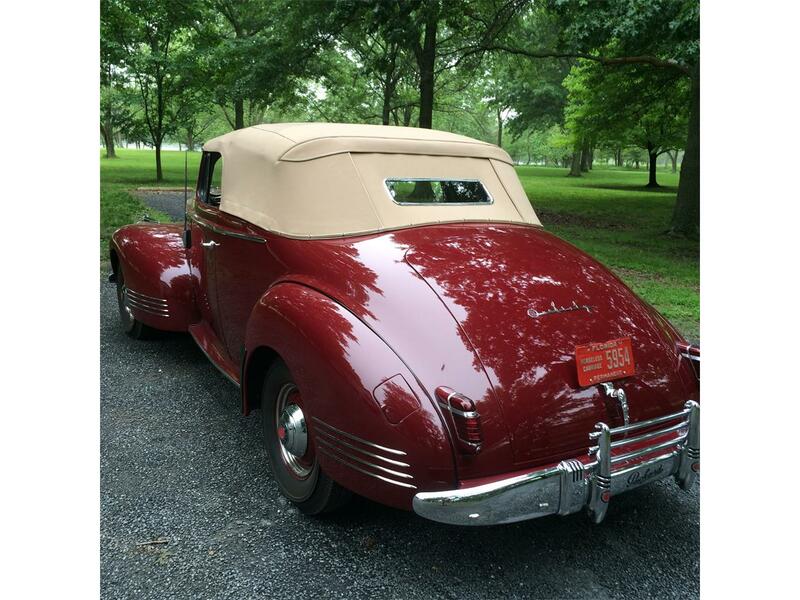 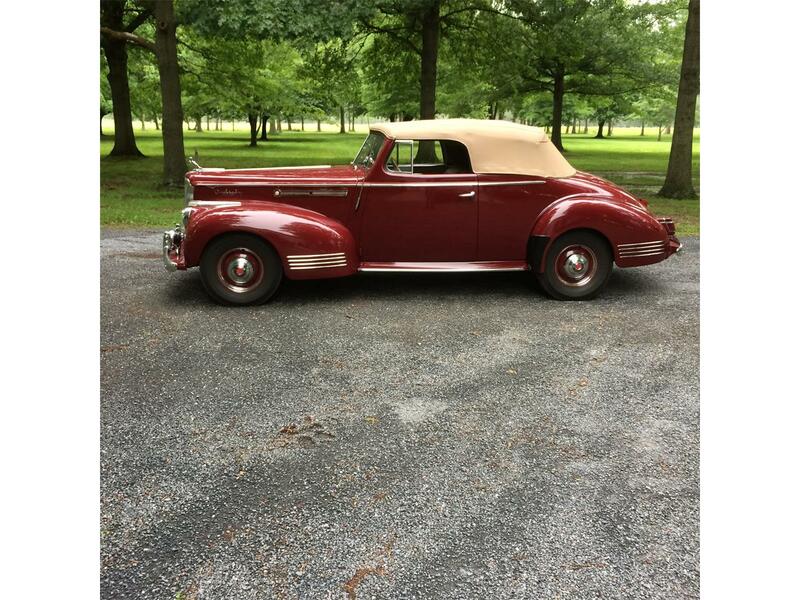 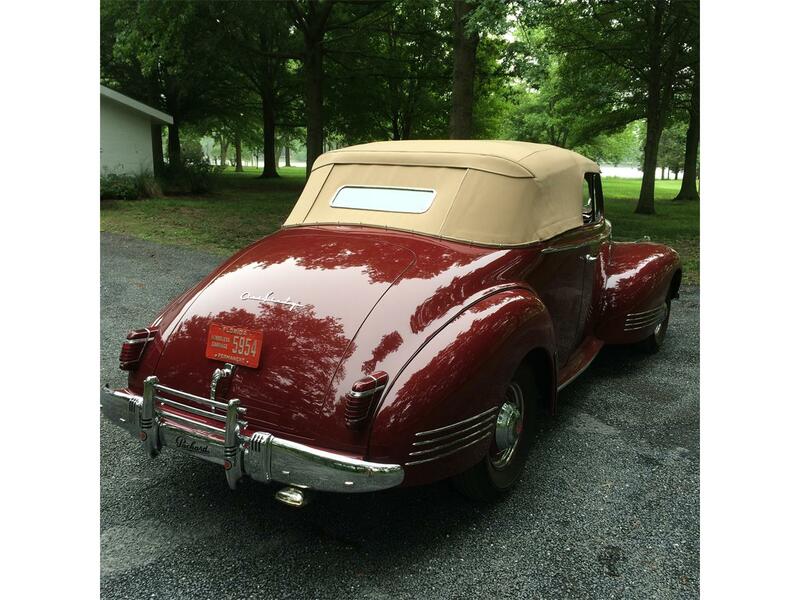 This 1941 Packard 160 convertible coupe is a registered Full Classic with the CCCA and is one of the best driving Packards of all. 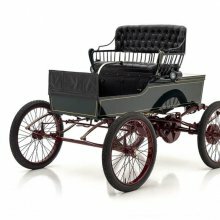 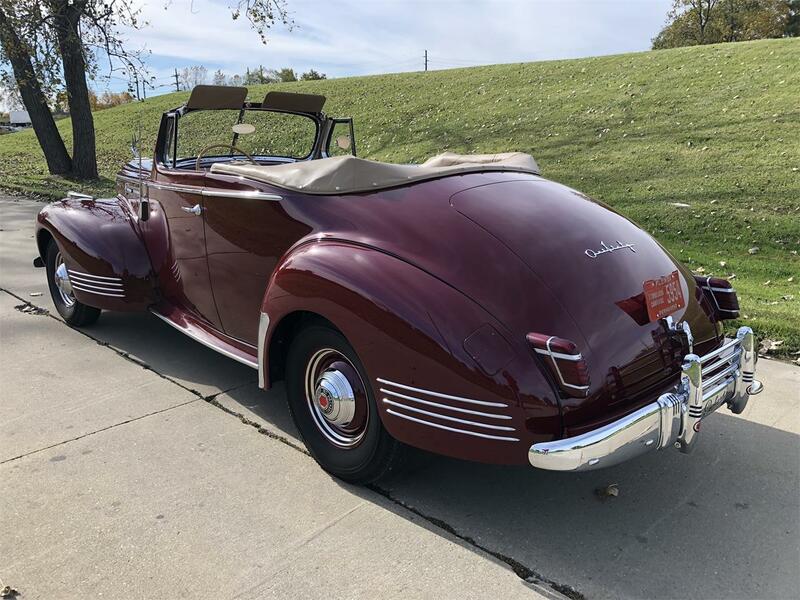 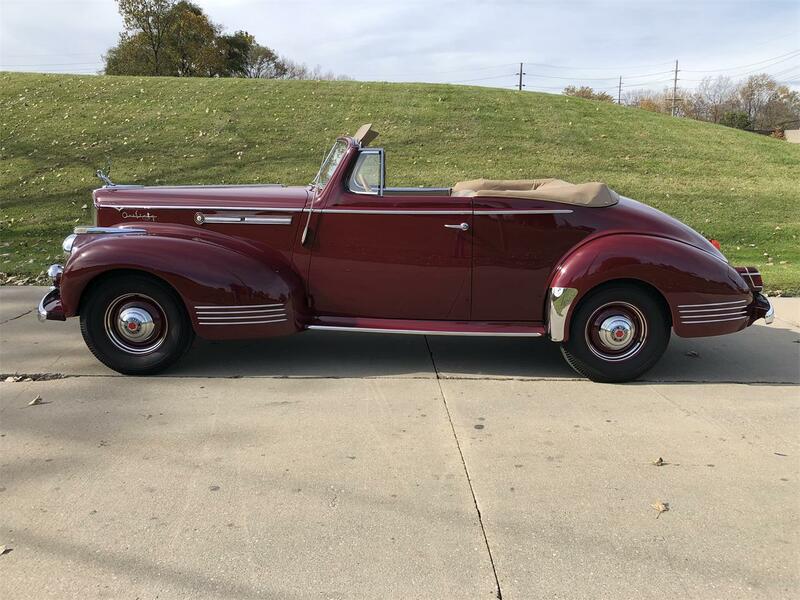 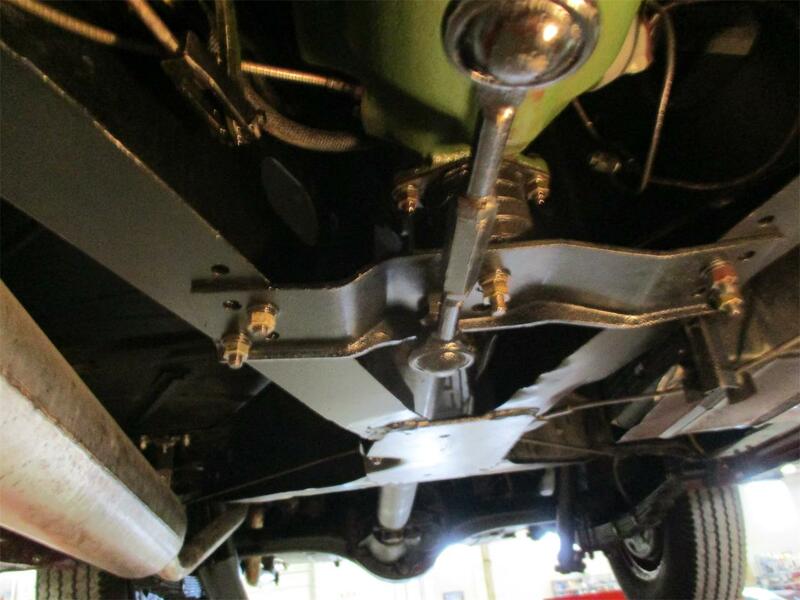 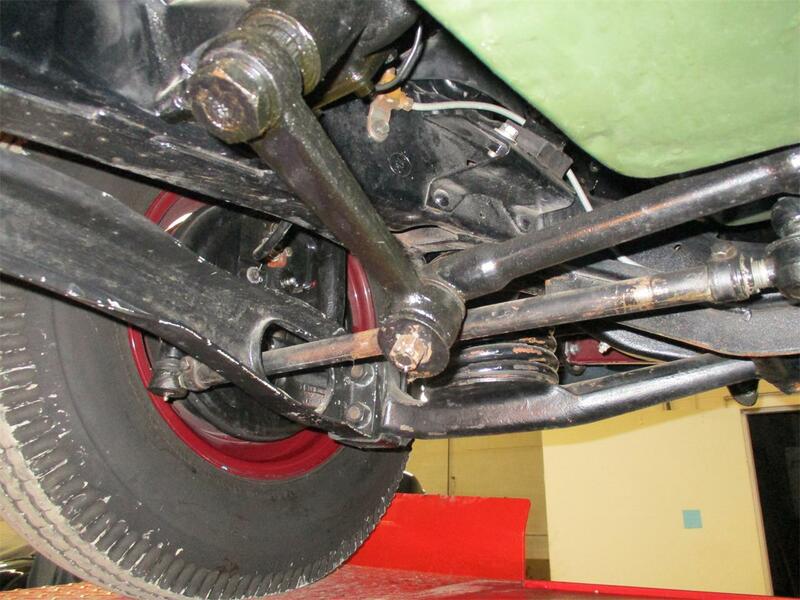 With thoroughly modern brakes, suspension, and that wonderful 356 cubic inch engine, it embodies Packard’s finest engineering with a sporty 5-passenger convertible coupe body, making it one of the most desirable cars of the immediate pre-war era. 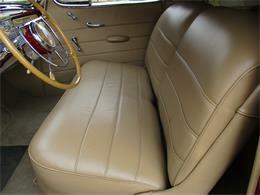 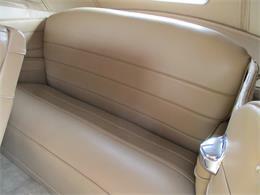 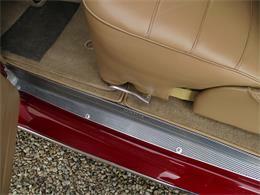 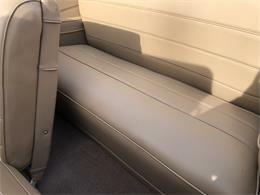 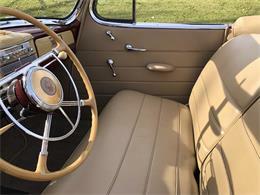 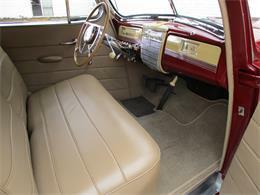 The luxurious interior is lined in glove-soft light tan leather expertly stitched in original patterns. With complementary tan carpets, it ties the car together wonderfully with a traditional combination that will never go out of style. 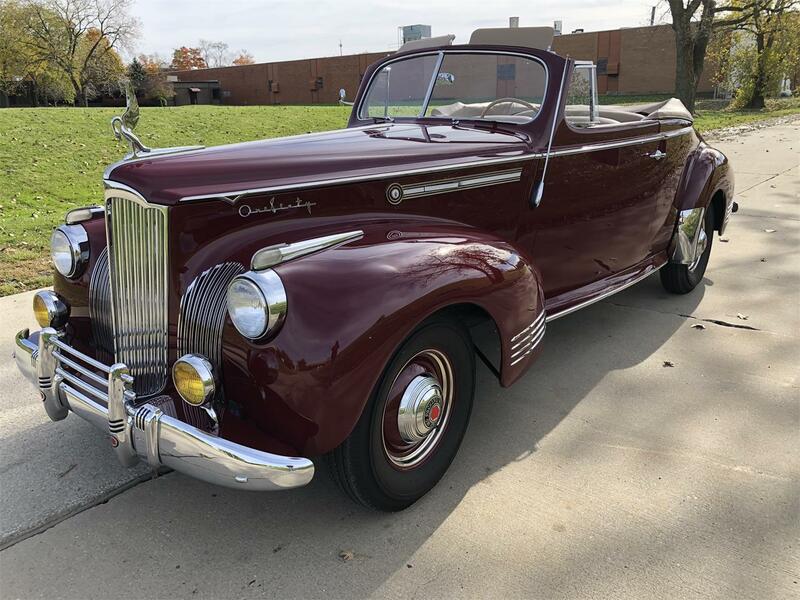 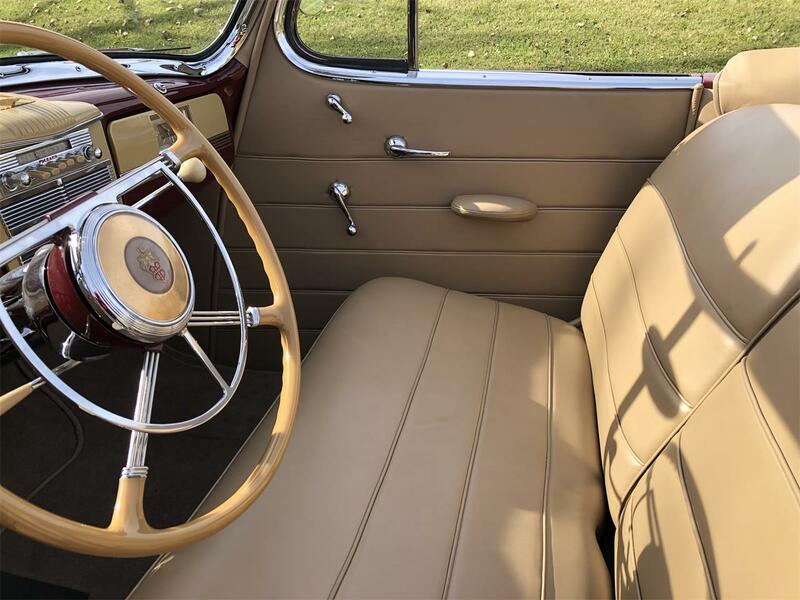 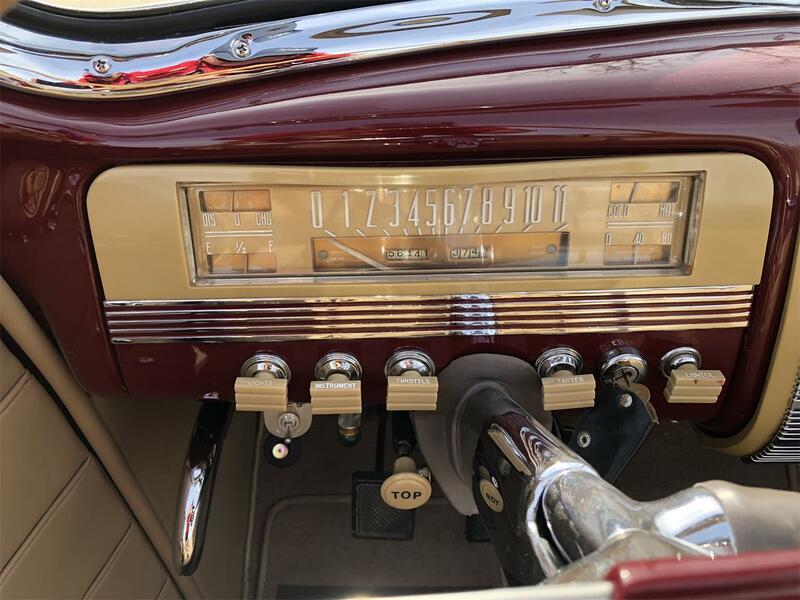 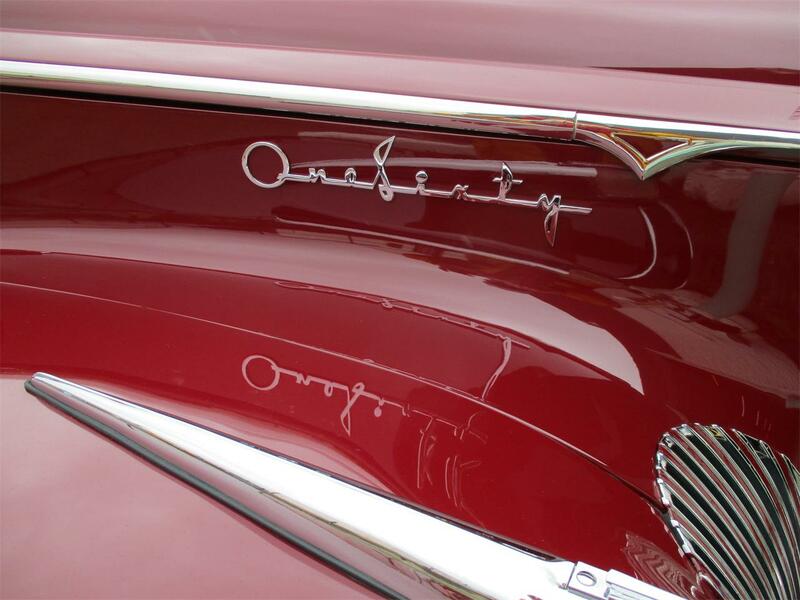 The seating position is commanding, and the view over that long Packard hood makes it seem like the hood ornament is a quarter-mile away, but there’s no other view like it in all of motoring. 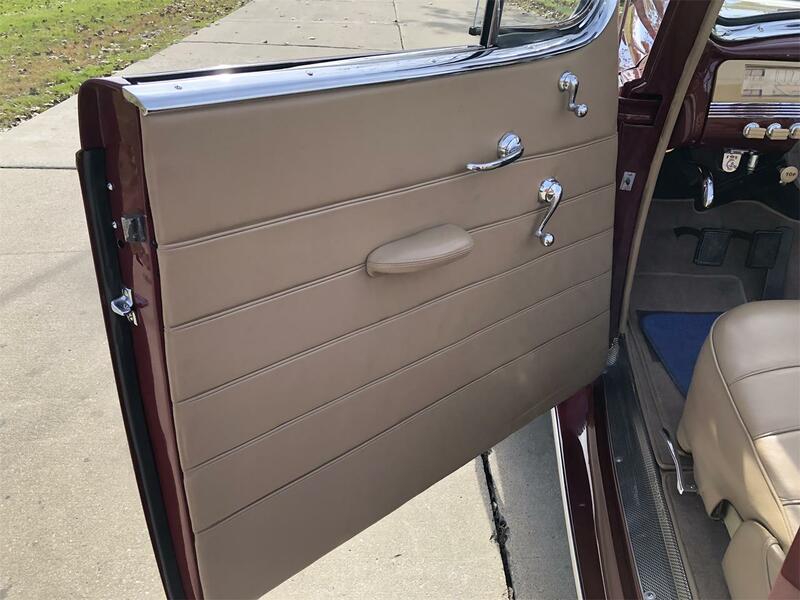 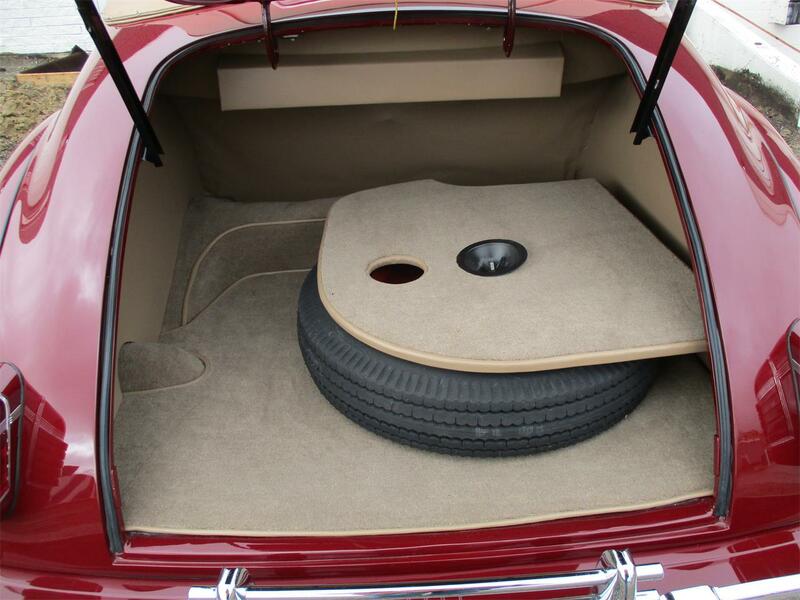 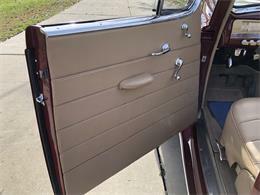 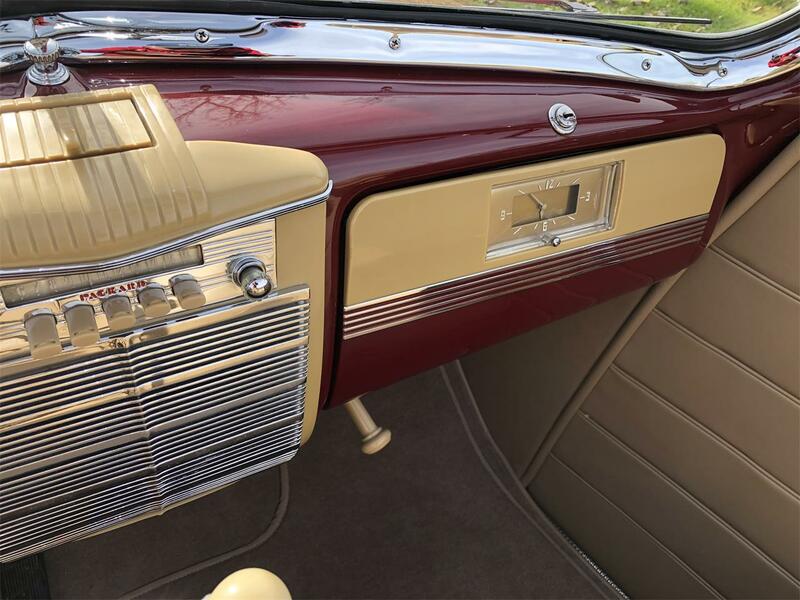 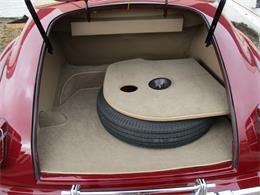 Accessories like the heater and radio are fully functional The trunk is fully finished in matching tan carpets that have been artfully bound and likely fit even better than the originals. 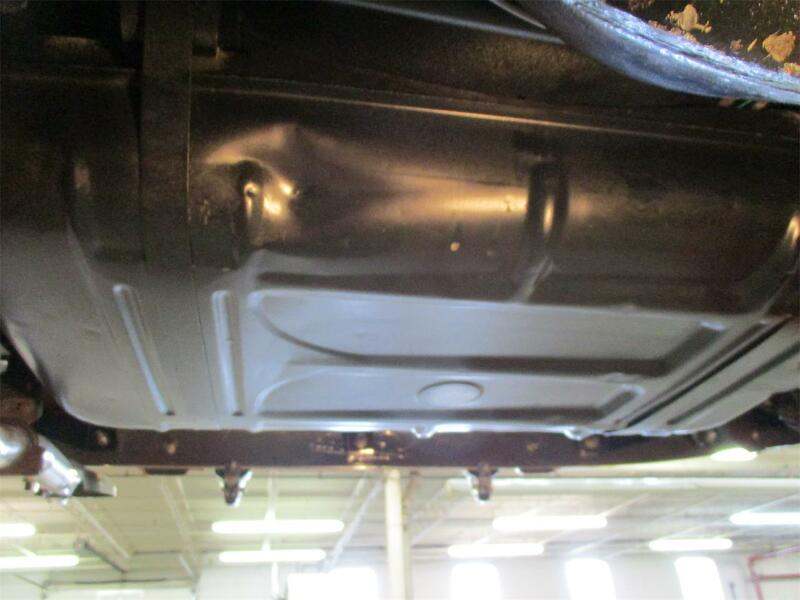 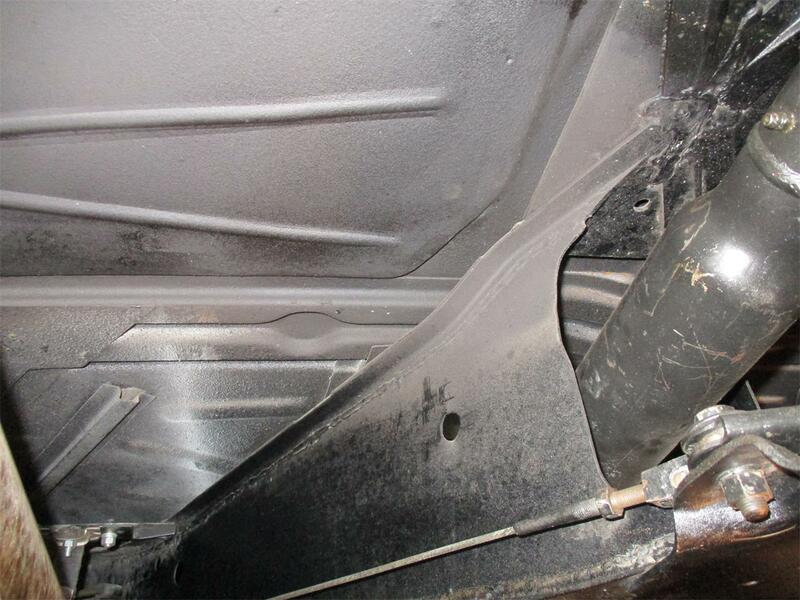 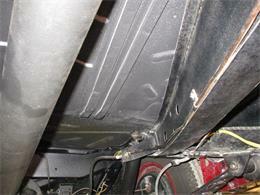 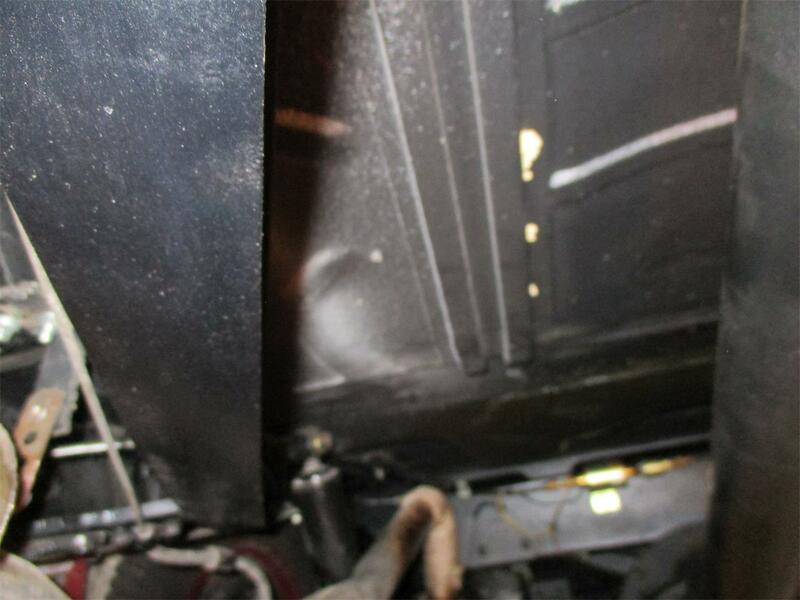 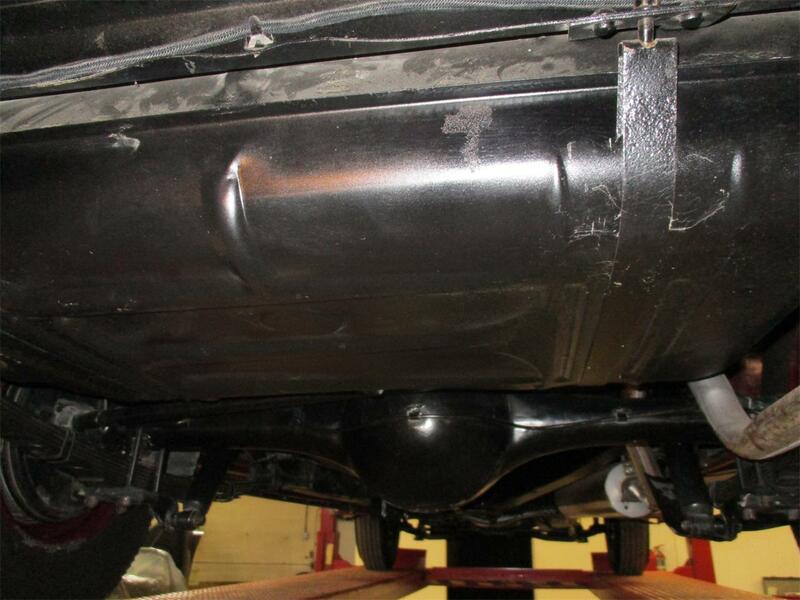 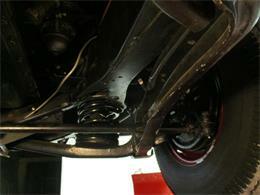 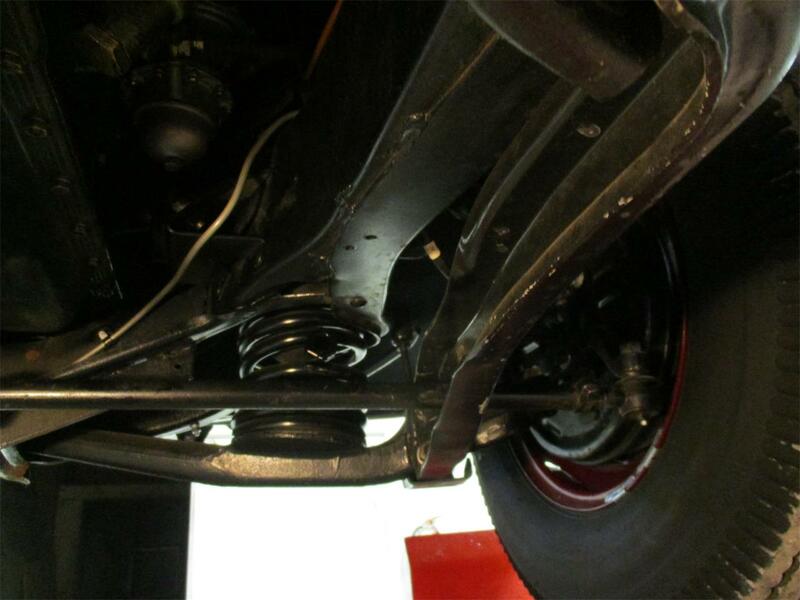 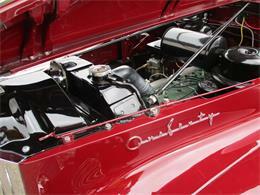 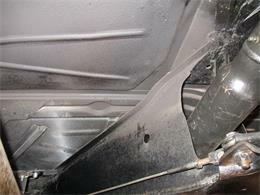 Under that long, 2-piece hood lives a fully rebuilt 356 cubic inch straight-eight which is rated at 160 horsepower. 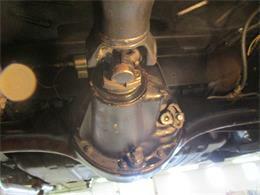 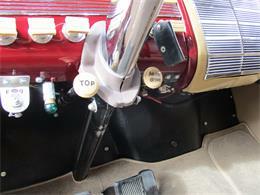 It starts quickly and easily thanks to an electric fuel pump upgrade, and it idles almost noiselessly. 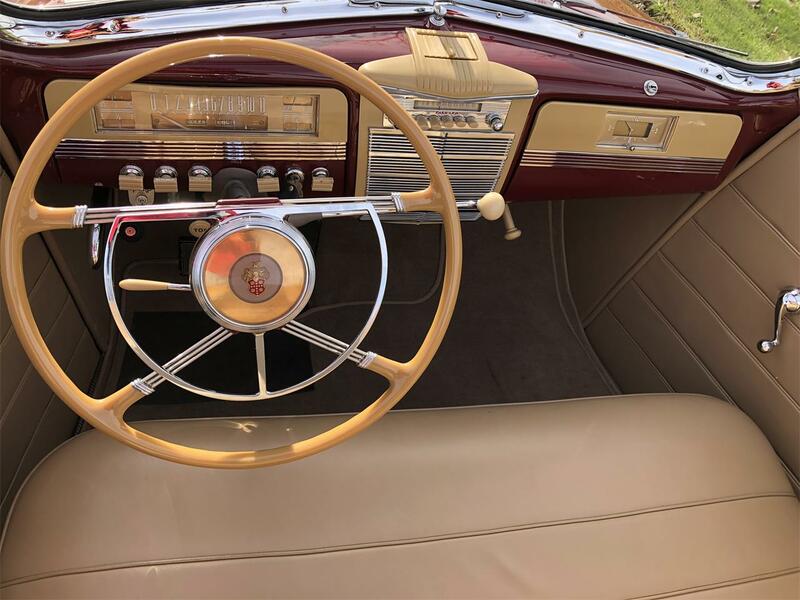 On the road, it pulls with the urgency of an electric locomotive, with almost vibration-free operation that was a Packard hallmark and one of the 356’s strongest attributes. 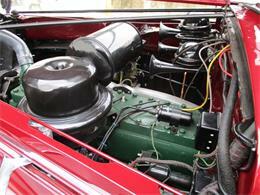 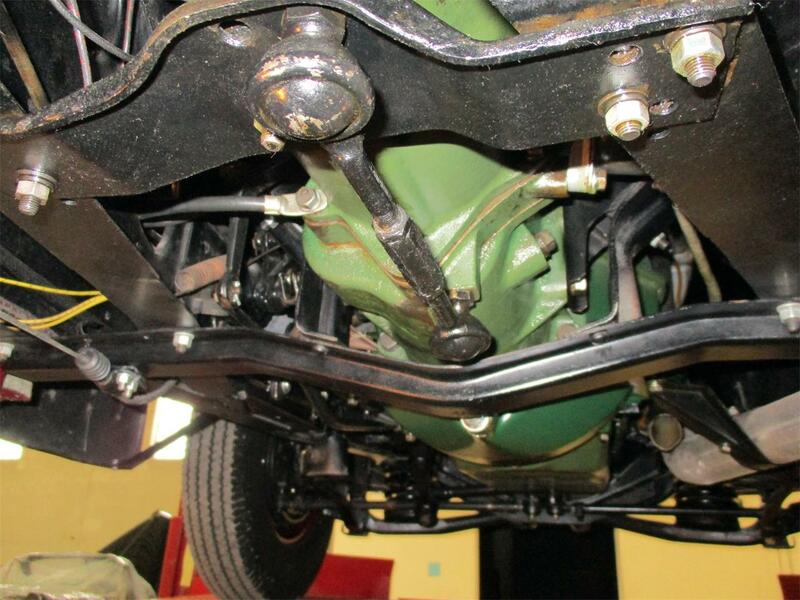 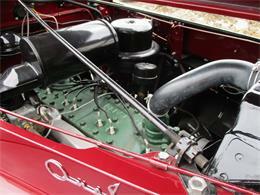 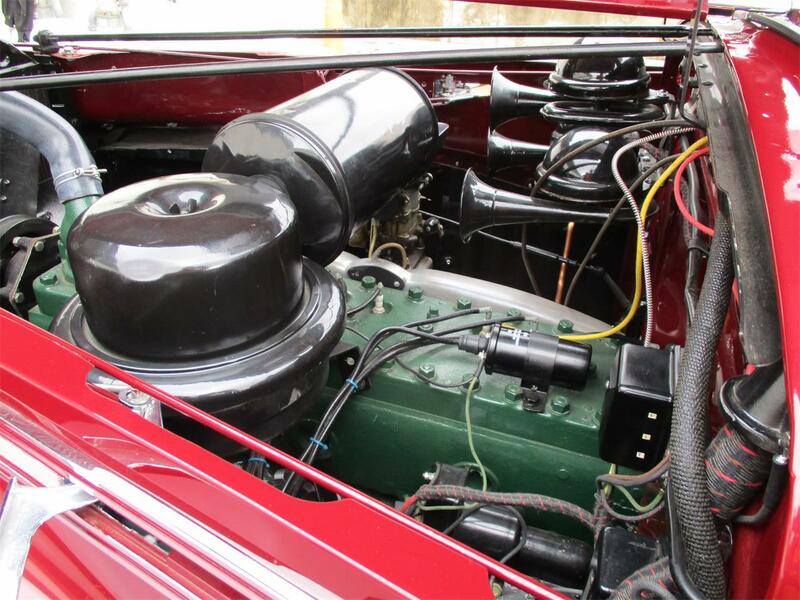 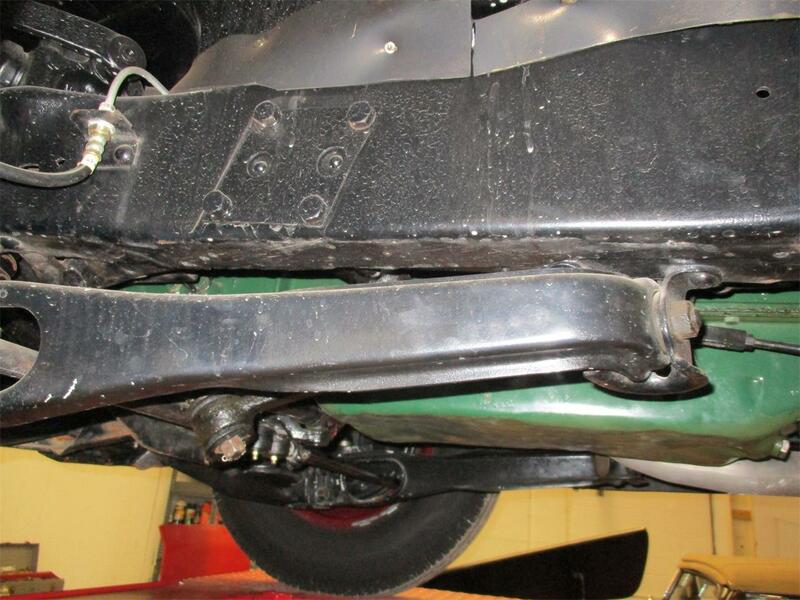 The engine bay has been nicely detailed with correct Packard Green on the block, a massive oil bath air cleaner, and proper accessories, including the Auto-Lite generator. 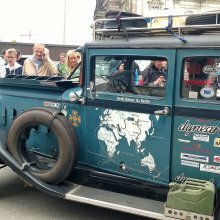 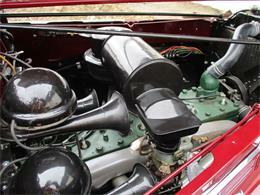 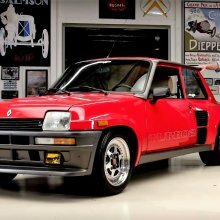 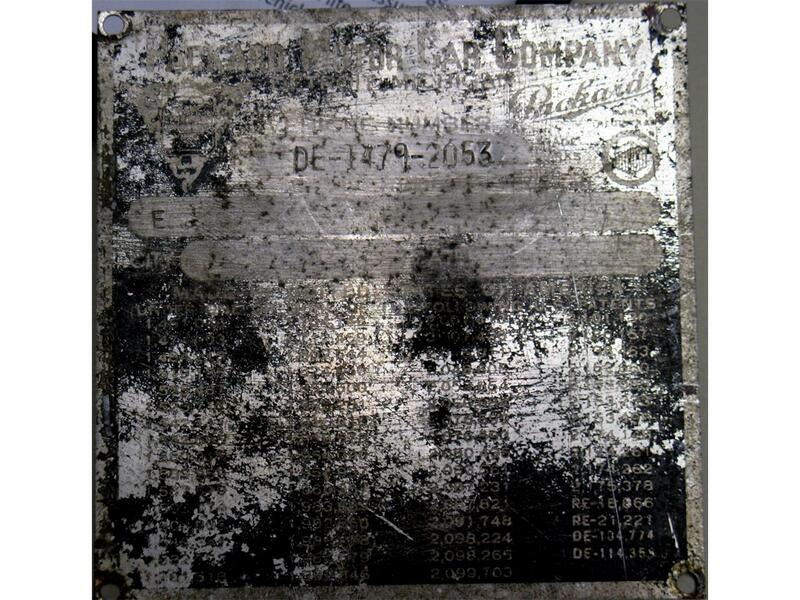 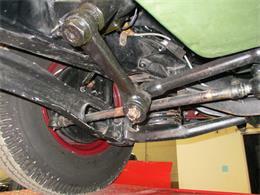 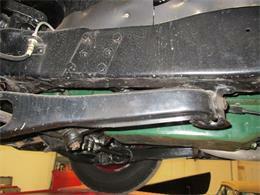 Exact reproduction wiring harnesses with cloth insulation have been used throughout. 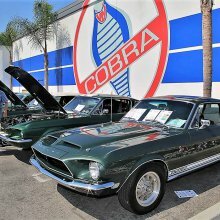 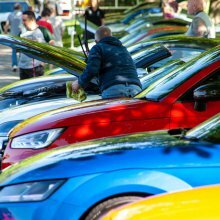 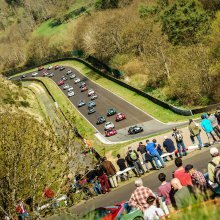 The 3-speed manual transmission shifts easily without the need for double-clutching, and the big engine loafs along at highway speeds without apparent effort, thanks to the factory overdrive. 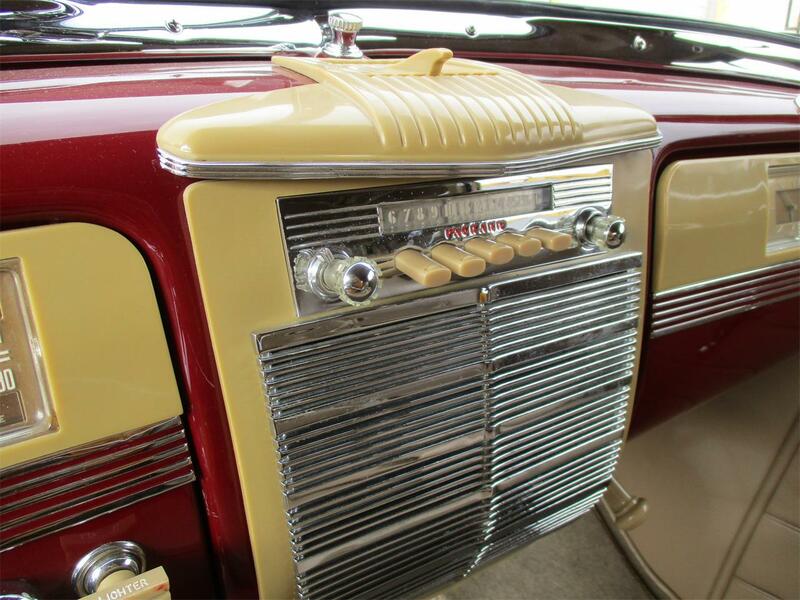 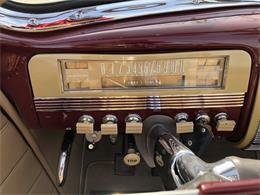 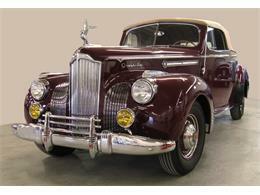 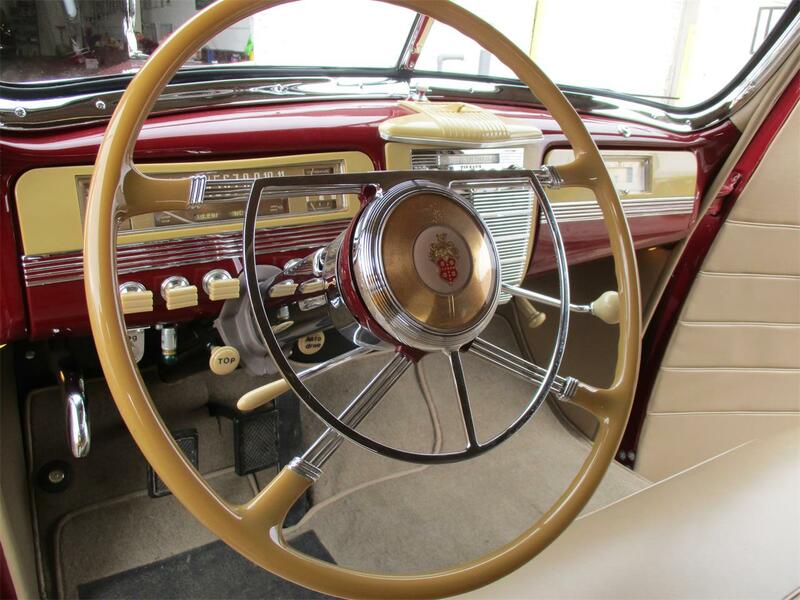 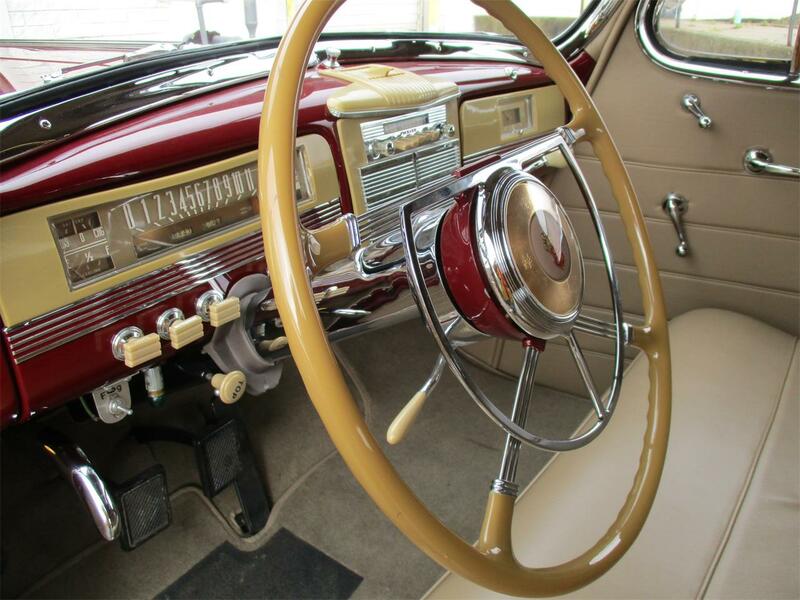 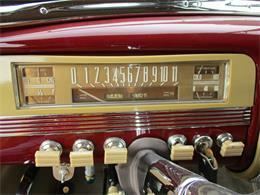 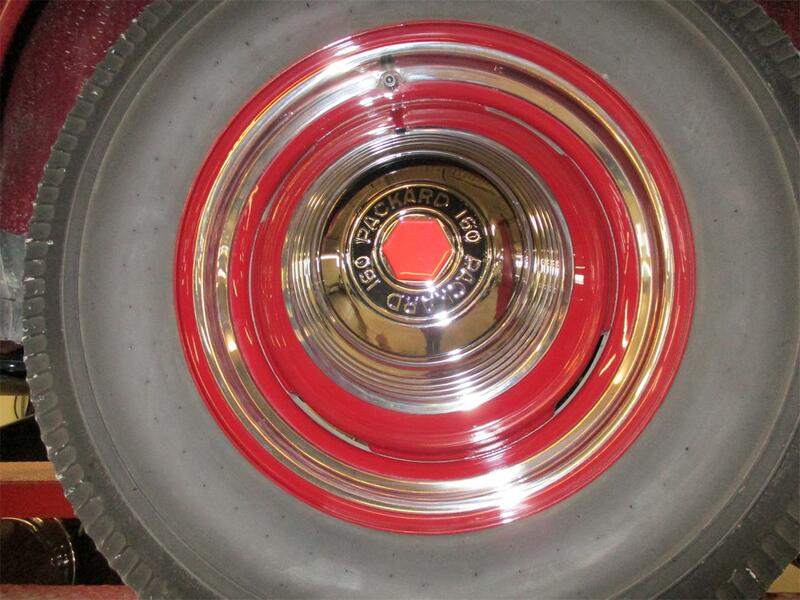 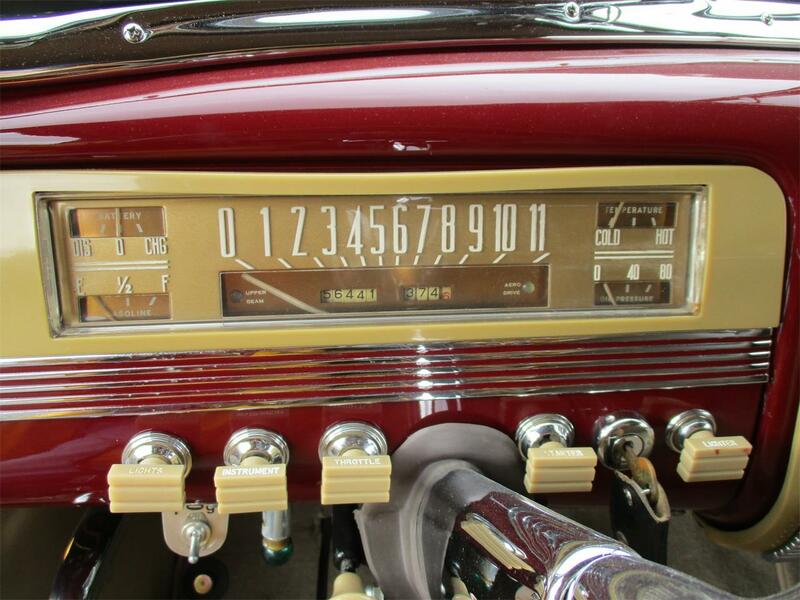 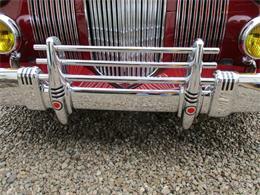 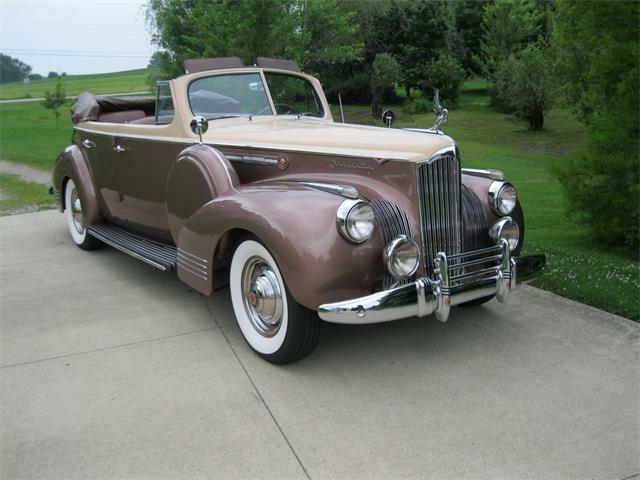 This Packard Deluxe model is one of the seventy produced and sought after by Packard collectibles around the world. 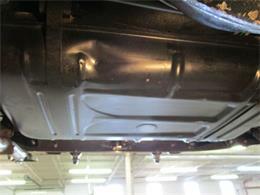 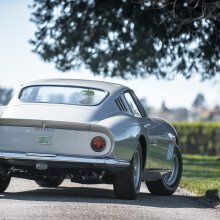 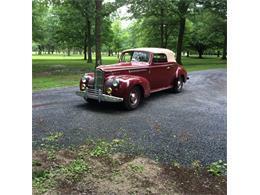 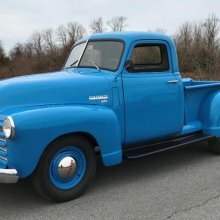 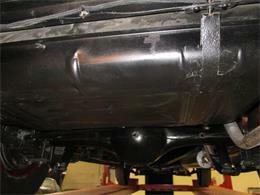 The restoration is body off completed by Stone Barn in New Jersey. 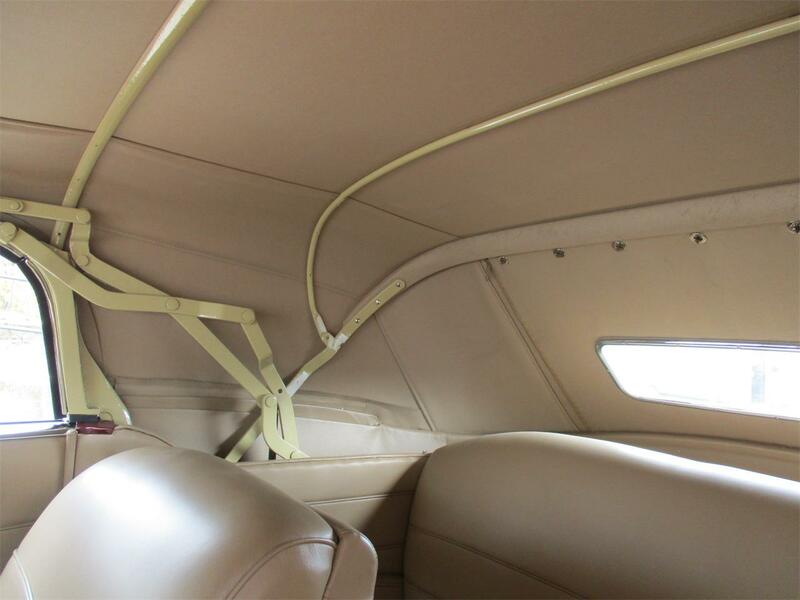 No expense has bee spared with restoration costs totaling over $140,000.00. 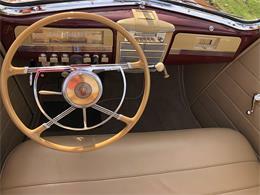 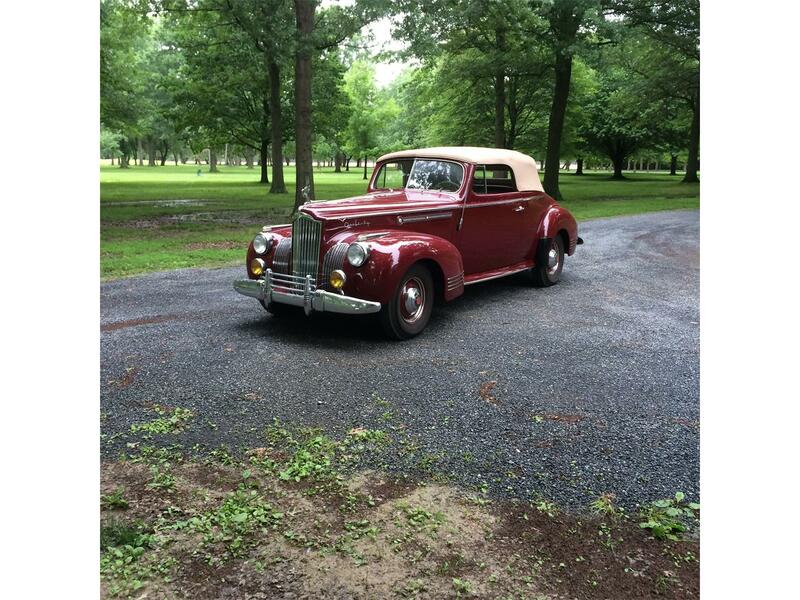 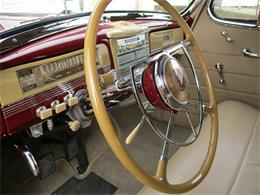 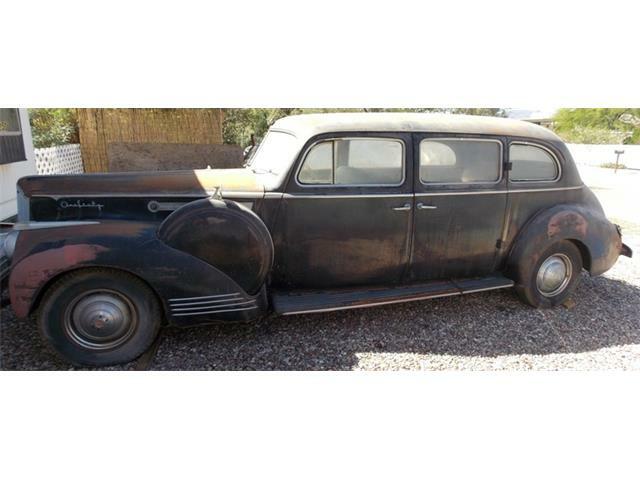 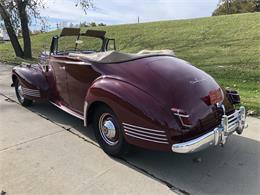 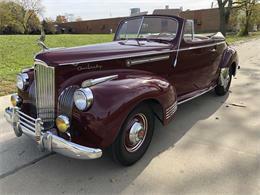 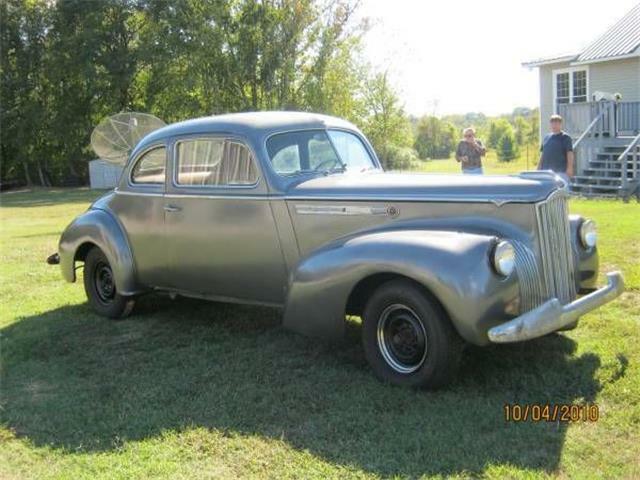 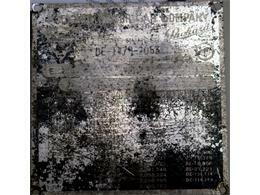 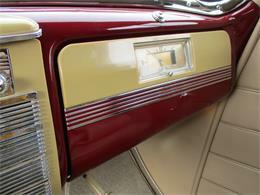 Hi, I'm interested in your 1941 Packard 160 listed for sale on ClassicCars.com for $159,900.00.